BUY LOCAL Furniture – Improving the local economy. Adopting a similar procurement guideline to The Queensland Government of “buying local” furniture is a very important step we can all take to assist in supporting the Australian and our local economy. When you buy local from retailers and manufacturers your money stays here and is reinvested locally in so many ways, below are a few good points to consider. When a consumer buys local, significantly more of that money stays in the community, for every $100 spent at a local business, $68 remained in the city. Local business owners often support other local small businesses for both business and personal purchases. When you know the people behind the business are part of your community, you enjoy a connection you would not otherwise have from an overseas purchase. People with family members in the community are involved in the processing, manufacturing and supplying the products you have purchased helping their families, creating jobs and income, continuing the positive growth cycle. If you’ve ever dealt with a large overseas corporation, you know getting help can be a little difficult sometimes. Calling a 1-800 number, only to be transferred seven times and put on hold. 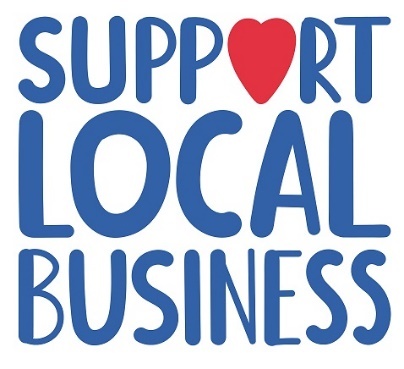 When you shop local, the business owner is usually directly connected to every employee in the store. That leads to a personal approach that often means any problem you have is taken care of with the intention of a swift and positive reconciliation. Having the owner nearby means that owner personally knows their customers. They know the products you buy or the services you request on a regular basis and can tailor services to make your experience even better. This removes a lot of the hard work in trying to specify your individual needs and preferences and getting exactly what you wanted. Buying local has benefits beyond mere convenience. When you support local business owners, you get a better level of service, as well as helping to give local members of your community a better quality of life and making your community a better place to live. Without the support of the local community small and local businesses who manufacturer and supply customised goods would cease to exist and whatever is “off the shelf” will be the only option left for Australians. Which means no other options and no other choices! Wallaces Furniture has supported local tradesman, manufacturers and wholesalers for over 86 years in Australia. We value the commitment of our suppliers in producing the highest quality goods and workmanship in all of the products they produce.